What: Leading Los Angeles fashion designer Des Kohan lets us in on her family time. Who: Ricardo Pavan and Desiree Kohan met on the beach in Trancoso, Brazil ... and the rest is history. They currently live in Mandeville Canyon but travel abroad frequently, spending a few months out of the year in Brazil and Kauai. Ricardo is an avid adventurer and importer/exporter of superfoods. Desiree Kohan is the owner/buyer of Des Kohan, Los Angeles destination boutique (and website). 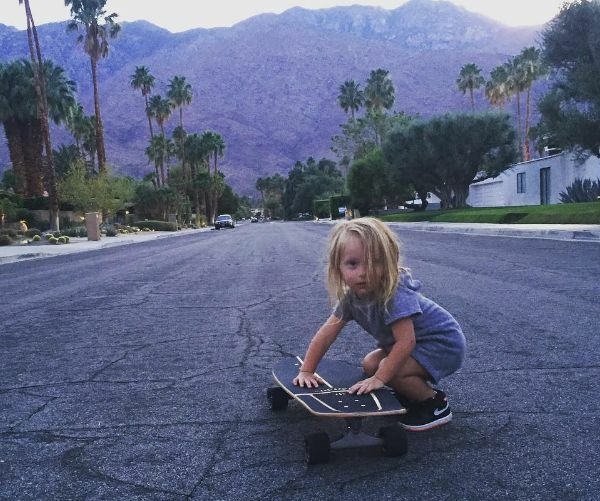 Their 3-year-old Lev shares their love of nature, mountains, ocean and animals. 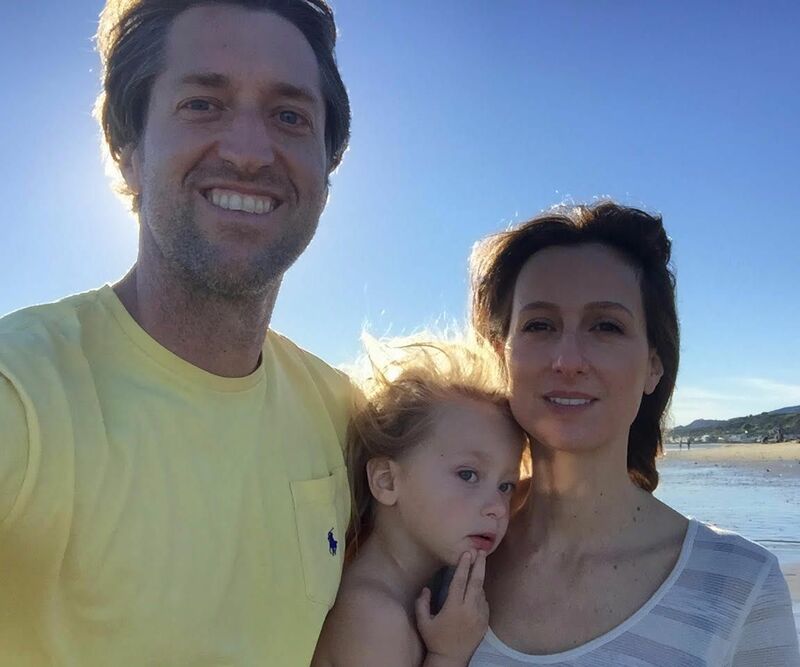 Ricardo Pavan & Desiree Kohan: We love to paddle board as a family and just under the Malibu pier is one of the perfect places to paddle with our 3 year old. We always have a life vest on our boy and would recommend this for any age as long as the children can swim. You can rent boards and wetsuits, if you don't already have, just across the street. They already have a stash of boards on the beach for easy access! 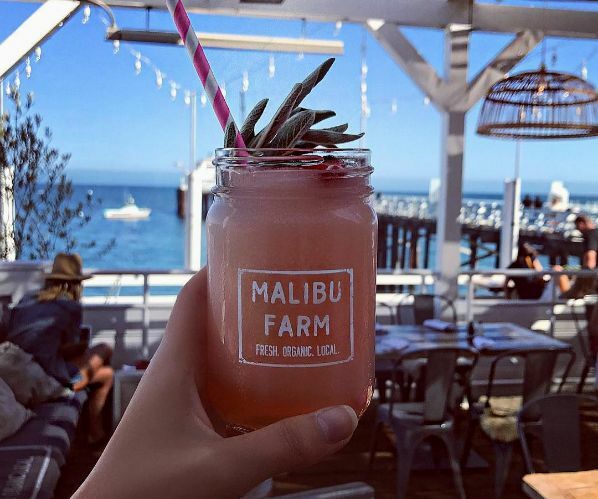 RP & DK: We do love the beach and Malibu Farm on the Malibu pier is an organic, farm to table local spot we always frequent weather it's after a paddleboarding session or just because. 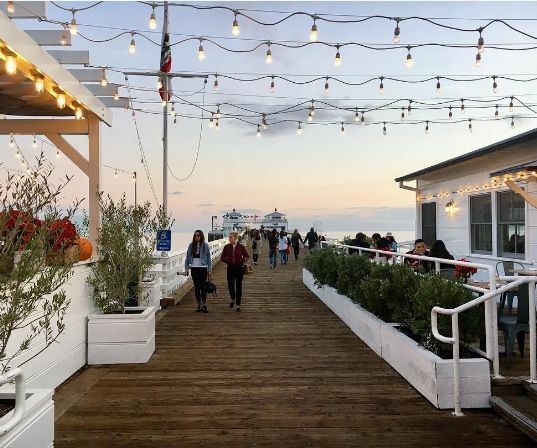 We recommend going to the Malibu Farm at the very end of the pier because it's cozier and has the best ocean views. If the upstairs is open, make sure to dine there for 360 otherworldly views! There is also a quaint general store at the end of the pier worth checking out. This is a great outing for all ages and can be coupled with a walk on the beach as well! So many LA locals never frequent the beach. Hopefully this helps. 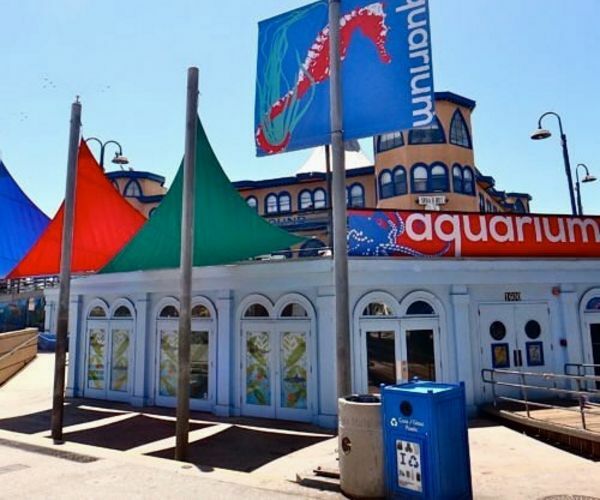 RP & DK: A favorite outing for us is to go to the Heal the Bay Aquarium, just under the Santa Monica pier. We are members but I still like to buy a ticket every time as it goes to an awesome cause! They have a calendar of activities that are fun and stimulating for the entire family. Some of our favorites is feeding the sharks or being educated on the sea life living right under us in Santa Monica and Malibu. You would be surprised how much we don't know! This is a great all day excursion because you can bring a picnic and sit on the beach - just outside the aquarium - while watching the acrobats and dancers practicing their art on the rings and gym mat. 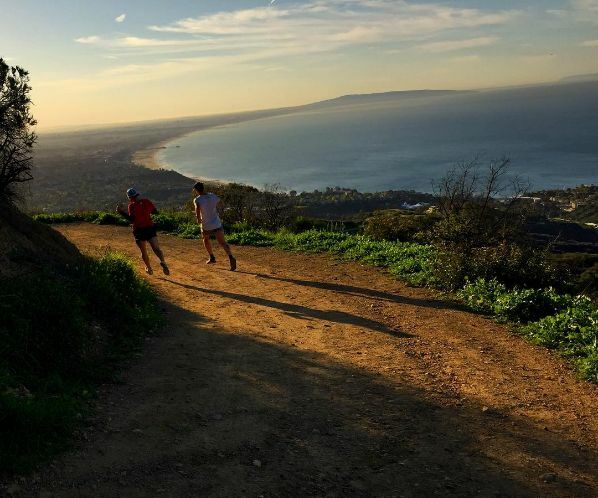 RP & DK: For a family friendly hike (weather your infant is in a Bjorn or your toddler wants to hike) we always count on the Los Liones hiking trail just off of Sunset, near PCH. It's mostly shaded and is a rather quick hike with no steep incline. The breathtaking ocean views and scenery as you hike is a family favorite. Our son loves the challenge of making it to the top where he further explores the trails. RP & DK: We live just up the canyon from the Brentwood Country Mart and it is our go to place to hang out and have lunch. They have a cute shaded picnic area where you can order Farmshop to go and enjoy it outdoors (our toddler won't sit down for a proper lunch). There is a mini Merry-go-round and coin operated cars to entertain toddlers as well as a great Toy Crazy store. What's even better is that there is a fantastic food court so there is something for everyone. We break up our time discovering books at the Diesel, a book store where there is a quaint reading area, visiting the toy store, getting Caffe Luxxe for mom (absolute favorite coffee) and of course Sweet Rose Creamery for the boys. They have the very best artisanal vegan ice cream. 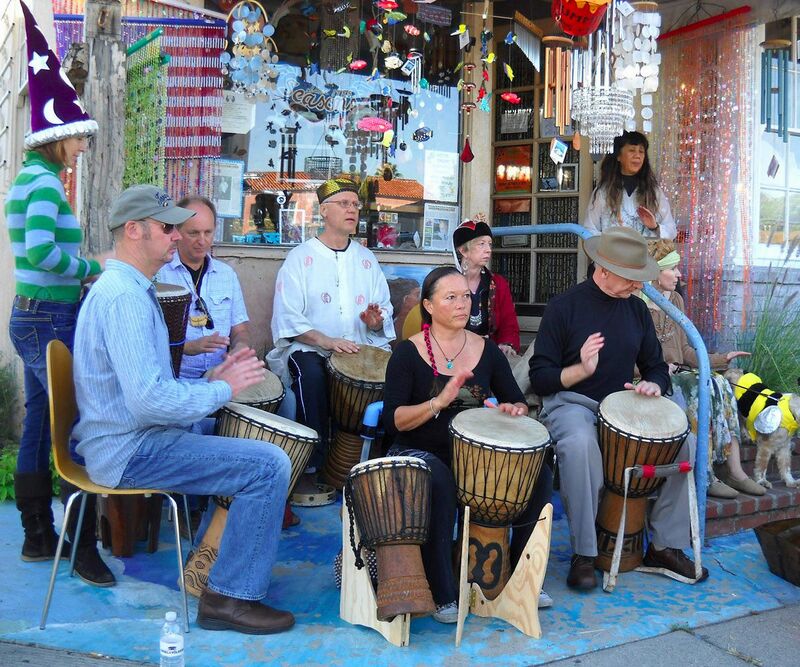 RP & DK: A great secret find of ours is Seasons on Montana Avenue in Santa Monica for drumming classes. 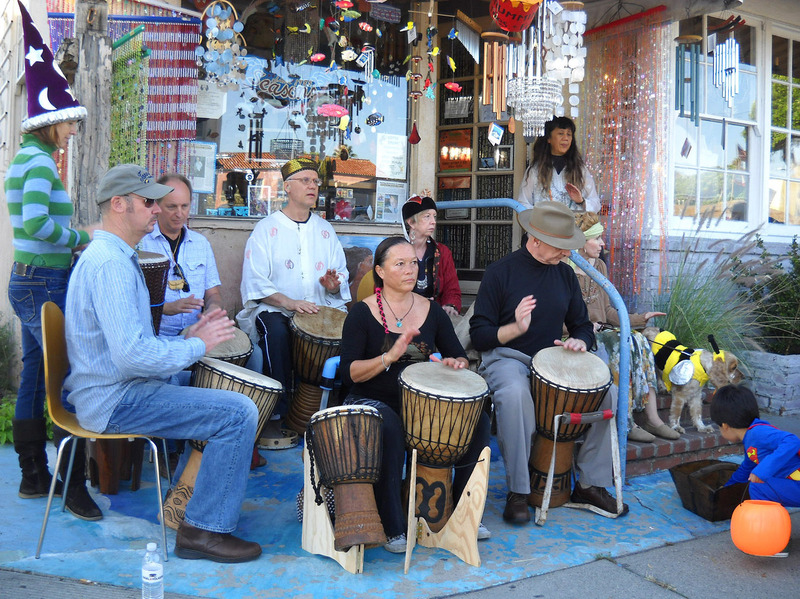 It is a hole in the wall that you won’t notice unless you happen to hear the drumming. Great idea for private family lessons or getting a group together. It really stimulates the whole family to think and act outside the box. Buddy and his wife are seasoned professionals with so much hospitality that can teach and stimulate any age, the whole spectrum. Save your local bookstores! 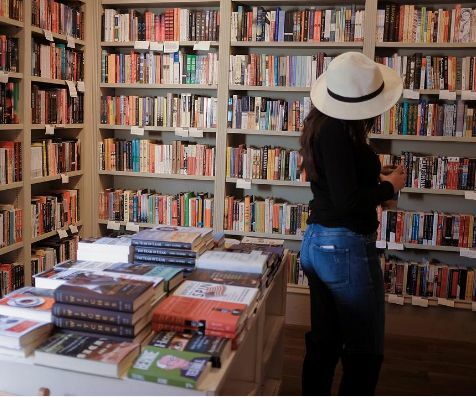 Tucked into a corner of the Brentwood Country Mart, Diesel is jam-packed with a well-curated selection of new and classic lit, including a heavy selection of food books, children’s books, and LA-specific interests. Grab your favorite author’s latest release and take a break from your Instagram feed with a great paperback under the California sun. Breakfast-&-lunch spot offering locally sourced American cuisine & pierside Pacific views. Local plaza where you can rub elbows with celebs over coffee or just shop and chill. Eatery serves market-driven breakfast, lunch & family-style dinners in a modern, barnlike setting. Counter-serve parlor offering sundaes, cones & shakes made with organic, homemade ice cream. DES KOHAN is nestled in a 1920’s Miracle Mile warehouse, surrounded by L.A.’s art galleries and museums. Curated in the spirit of an art gallery with its own distinct point of view, the light-filled gem houses an unparalleled mélange of the world’s top collections and meticulously edited selections.